Lesson #149-Jumpstart Your Marriage & Your Money with guest Elle Martinez | JW's Financial Coaching-Giving you a new perspective on your money! 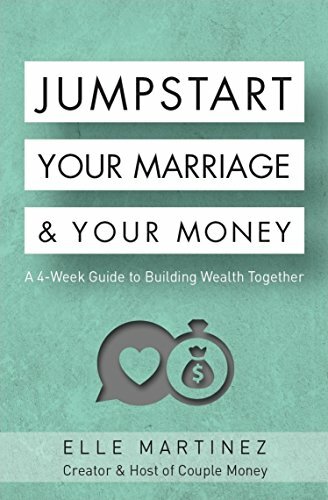 I have the privilege of welcoming guest Elle Martinez to the show to discuss her new book titled Jumpstart Your Marriage & Your Money. I wanted to have Elle on the show because her podcast is great and I couldn’t wait to pick her mine on a topic that most of will face at some point in our life, if we haven’t done so already, and that is money and marriage. Elle’s book, Jumpstart Your Marriage & Your Money, will be released on June 13th and can be found on Amazon. In addition I recommend you subscribe to Elle’s podcast, Couples Money, if you haven’t done so already. The key to handling money in marriage is communication! This entry was posted in Books, Guests, Love and Money, Marriage, Podcast and tagged Book review, Books, Finance podcast, Guests, Marriage, Money and Marriage. Bookmark the permalink.